Arogya Vikas conducted mega medical camp in Prachuru village Prakasam district on 29th May 2016. Free thyroid, sugar and B.P tests were conducted in the medical camp. Gastric exams were also also conducted. Dr. Sai Krishnagaru M.D, D.M ( Gastric) extended his services in the camp. 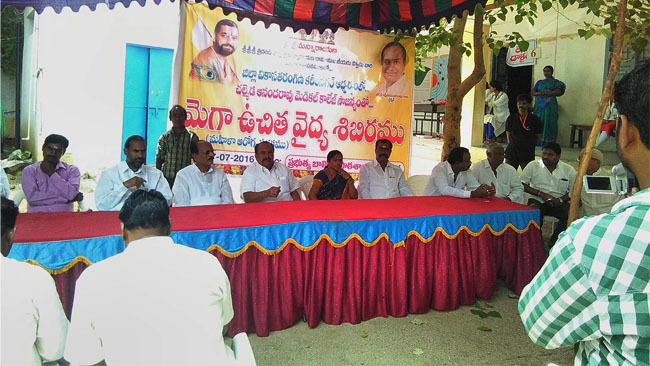 Dr. Rambabu garu also extended his services in the camp. Camp was organised with the help of Parchuru Rotary club and the camp was supported financially by D. Avinash Raja and D. Harish Sravani.